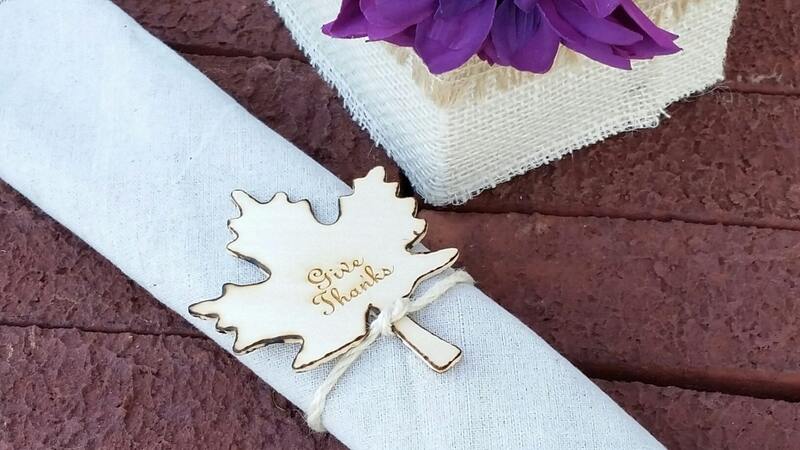 Beautiful wooden leaves custom engraved with your choice of words or names will make the perfect addition to your Dinner Table Setting. Use them at your Thanksgiving Dinner Table, Bridal Shower, Baby Shower, Anniversary, Retirement Party or any other occasion. 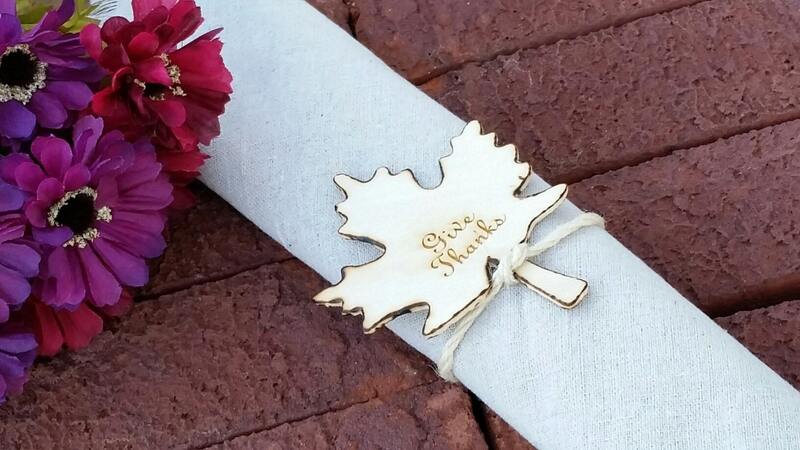 They can be used as napkin rings, place card holders or gift tags. Want us to engrave each guests name on it? That will not be a problem just let us know. Size: 3.5 inch x 3.75 inch x 1/8 inch thick. Want a larger quantity? Please contact us to make a special listing for you.